The invitation to 'let’s eat cake and celebrate surviving motherhood together' saw a fantastic turn-out on a grey day in the city centre. 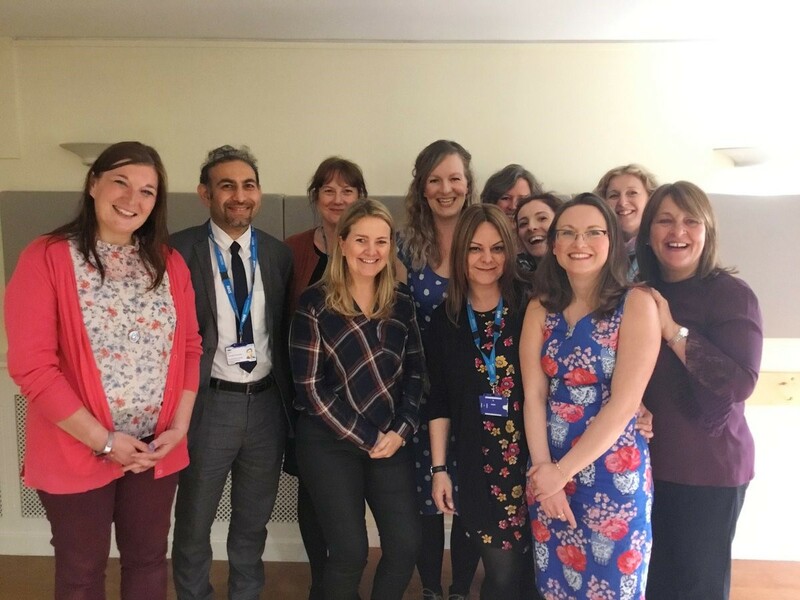 Around thirty mums, dads, family members, friends and little ones gathered to shelter from the rain and share experiences of using their local perinatal service, supported by the wonderful staff team from Sheffield Health & Social Care NHS Foundation Trust. The artwork created was really touching to see, and as Twitter was full of photos and stories about World Maternal MH Day, it was fitting to be in a room with others. 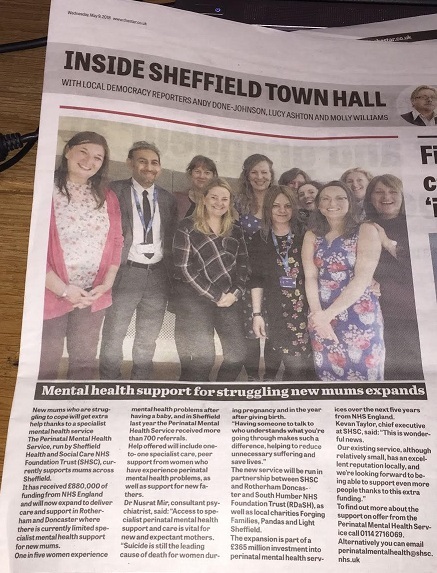 "Thank you so much to Sheffield Perinatal Mental health for inviting representatives from APP. It was such a fabulous afternoon with delicious cake which always help . It was a huge success, with an excellent turn out and lots of valuable information gathered from people who have used the Sheffield service to get ideas on what has helped them and what areas need improvement. It was also a lovely opportunity for me to talk to some of the ladies that have used the service. They opened up to me about how they felt they were failing as a new mum and how most things were a real struggle. I hope by sharing my story a little about my struggle with PP that it gave them some reassurance that things do get easier. It was so rewarding for me to hear the ladies open up to me and say how the services and chatting had helped them. I hope to be able to help out at more events like this and raise awareness of PP, as a volunteer with APP. We even made the local paper!" For more information about the Sheffield service, which will be expanding thanks to recent Wave 2 Community Services funding, see here.